I got out to the Golden Gate Dirty Thirty on June 4th to watch lots of friends run a really tough & beautiful 50k course. I spent some time jogging around a bit and snapped a few pictures. My cousin Scott rocked his first ultra finishing in 6:40! This is one race I want to run! Four days away from the San Juan Solstice 50 and I'm dealing with all the typical taper crazies. Due to the huge snowpack that is affecting almost every western mountain race, a decision should be made by tomorrow as to whether or not we'll run the standard course. If we can't, they have developed an alternate course that is no slouch. 49.63 miles. 12,799' total vertical ascent. The high point of the course is "only" 12,193' instead of 13,334' on the standard course. While I feel as good as I've felt in the last year, I'm not feeling all that prepared for the stats just listed above. The highest I've been all year is 10,200', but I'm guessing not many other runners have been able to train up high either. I'm a little torn with this race since it is my last before Leadville. On the one hand, I want to push it hard and see what I can do. On the other, I want to be thinking about Leadville and take this opportunity to practice the pacing strategies, nutrition, and gear that I'll be using there. I'm resolving to try both, but err on the side of racing. I figure I have nine more weeks to practice for Leadville on my long runs. I won't be a jack rabbit out there, but I will be looking for every opportunity to run when it makes sense. One thing is for certain, expect a lot of pictures in my race report! I recently came upon the list below and thought I'd share it here. There are some good nuggets of wisdom and I plan to read the book before too long. 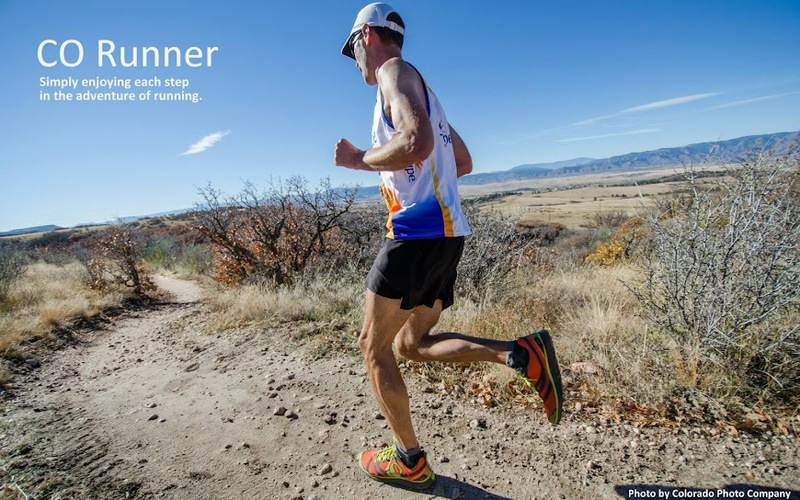 Ten Commandments of Endurance by Marshall Ulrich in "Running on Empty"
Whatever course you run the San Juans are awesome! Run smart and kill it. Go time! Look forward to hearing about the adventures. Have fun up there buddy, see ya soon. TG - So true, thus I'll be running with camera in hand. I was talking to JP about SJS, and he mentioned your advice about being sure to leave plenty in the tank for the 2nd half. I will be keeping that in mind on Saturday. Wish you were going to be there. PG - Right back at ya! Can't wait to hear about how the 50k shakes out. Have a great vacation with the fam. Love the 10 commandments there at the end. Particularly the contrast between 8 and 9. #8 is so true. I remember my first 50 suffering horribly from miles 25-30 and felt like a failure. Then it got better, a lot better. It's just part of the journey...and battle. Not sure what #5 means. Kind of a late comment, but wanted to say thanks for posting these commandments. I focused hard on #9 during Big Horn and it helped a lot. I tend to get a little tough on myself during these things so it was a nice reminder. That's funny Chris, because I kept thinking about them during the SJS. I had a hard time with #3, and struggled with #10 for a bit as a DNF seemed quite appealing, but then #7 came to mind and I just kept saying, "this too shall pass". Glad to hear they helped you along too. I'm thinking I need to print out, laminate, and hang them in front of my nose for Leadville. Had to revisit these commandments - good stuff. Yeah, you're out there right now! Hope the journey has been a good one. Last I saw, you were in 3rd place. Nice! Can't wait to hear the result.